I was sent four cans to try out - Cherryade, Fizzy Elderflower, Ginger Beer and Lemonade. What makes Dalton's drinks special? Well, they are all-natural, that's what! They are less than 110 calories per can, have up to a third less sugar than other carbonated drinks and do not use artificial sweeteners, so a carbonated drink you can feel good about drinking. They are blended with British spring water and a carefully balanced amount of beet sugar to suit an adult palate. But how does the taste compare? I tried out the Cherryade and shared some with Marley. The Cherryade is made with sweet and sour Morello cherries. I enjoyed this very much and so did Marley. It tasted far more natural and had a much more intense flavour than your average cherryade drink, not as sweet tasting, so it does take a moment to really appreciate the flavour, as it has quite a tang to it to begin with if you're used to more sugary drinks, but it is definitely worth it and you realise you don't need the sugar for the drink to taste great. Paul loves Ginger Beer so he tried out that one. He really loved this. He actually emphatically said how it's by far the best ginger beer he's ever tasted! Now, I'm not at all a fan of ginger, which is why I left this one to Paul, but he really is and he always looks for an opportunity to try out a new one. He said most ginger beer he tastes, the flavour is really weak, like the companies are too afraid to make it too strongly flavoured, but he said the thing he loved about this was that it was really strongly flavoured and the lime was very noticeable too and that the flavour was perfect, in fact, amazing! David really liked the look of the Fizzy Elderflower, so I let him test that one out. He said he really enjoyed it, that it was really flavoursome and he'd never tried this flavour drink before, but was pleasantly surprised. I also tried out the Lemonade. I really, really, really enjoyed this one. I've tried several varieties of lemonade over the years and this was by far the best. Very natural tasting and intensely lemony. I could definitely make this a regular drink. In fact, it's probably one of my favourite soft drinks ever! I really hope this is available as a 500ml or 2L in the near future. The overall verdict - these are absolutely delicious drinks and without unnecessary additives/sweeteners/preservatives - what more could you ask for?! These were first created by ex-Orient Express chef Duncan O'Brien in a nightclub in 2012, and they used to be hand delivered to small cafes and cars across East London by bicycle! Now the Dalston's drink, including cola, lemonade and orangeade, are widely available in cafes, pubs restuarants and supermarkets throughout the UK! 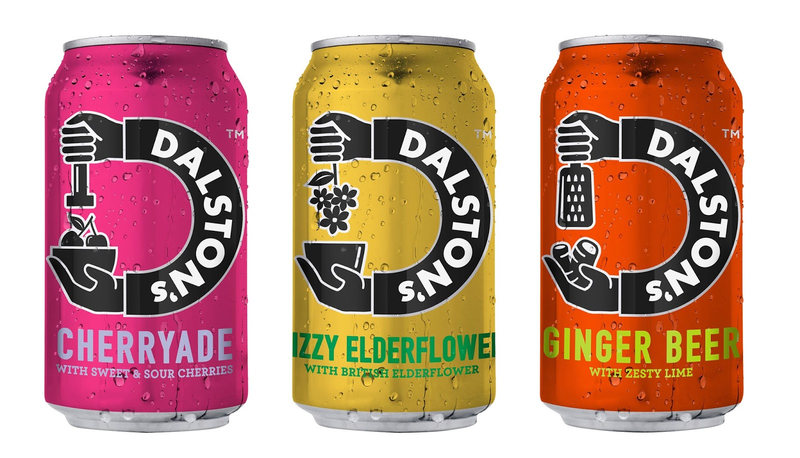 Dalston's drinks are available in 330ml at an RRP of £1.09 or £3.99 for a four pack and are available at Sainsbury's, Waitrose, Wholefoods, Ocado and As Nature Intended.